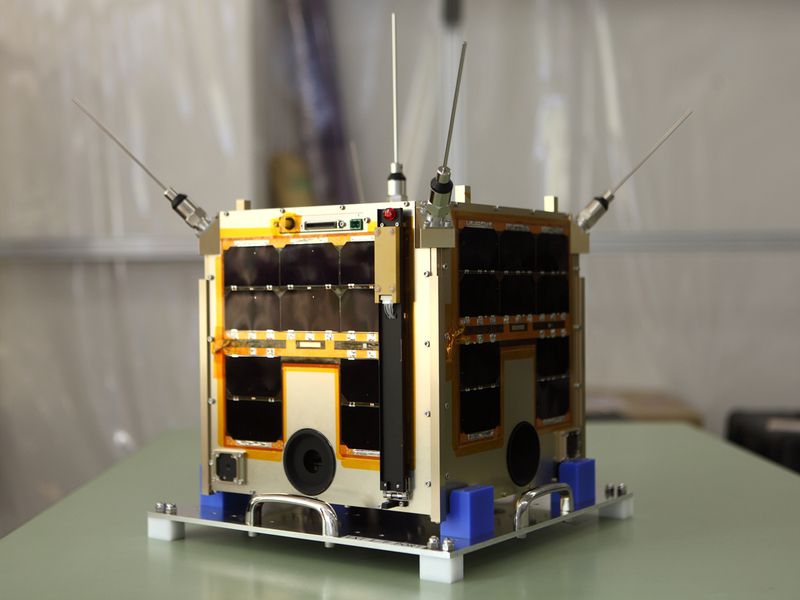 WNISAT-1R is the Company’s second satellite serving as the recovery unit for WNISAT-1 and was launched launched at 15:36 (JST) on July 14th, 2017 on the Soyuz rocket from the Baikonur Cosmodrome in Kazakhstan and injected into the planned orbit. Weathernews uses optical cameras to take experimental observations of sea ice, tropical cyclones and volcanic ash clouds in order to improve the accuracy of meteorological and hydrographic forecasts. 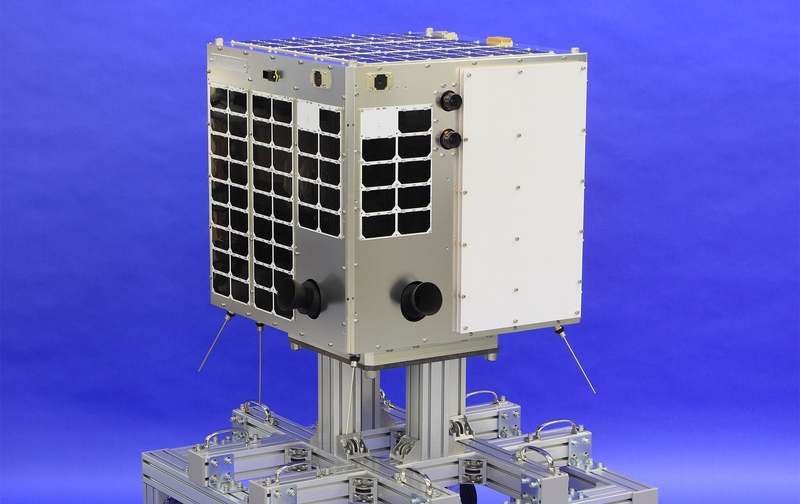 WNISAT-1R is equipped with optical cameras for observing four wavelengths of light (red, green, panchromatic and near-infrared). Using these optical cameras, it will engage in the observation of the extent of sea ice. Furthermore, it will observe typhoons as well as ash plumes in the event of volcanic eruptions. 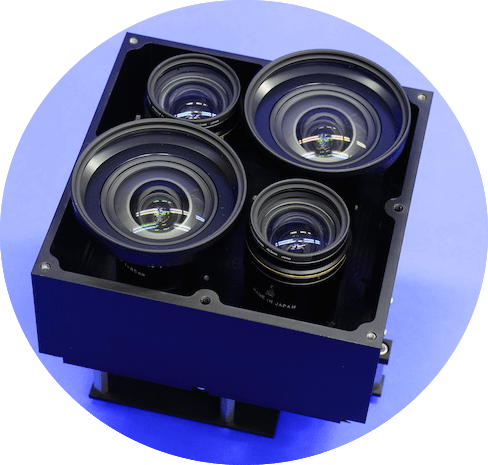 It addresses the challenge of not only photographing the spread of typhoons and state of dispersion of volcanic ash, but also 3D observations to identify the height of clouds and the peak of volcanic ash clouds using stereoscopic photography while moving. 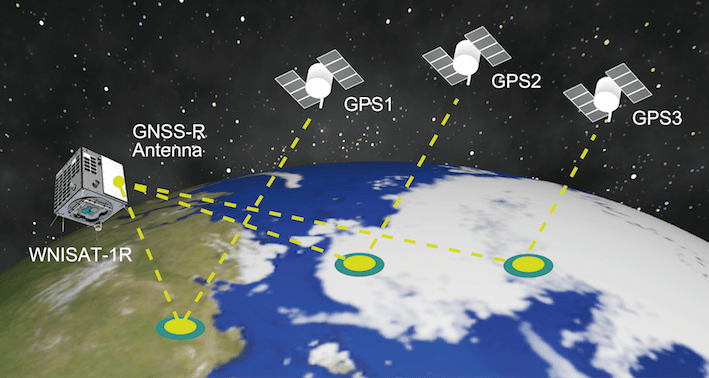 The satellite is equipped with a GNSS receiving system so that observations can be made regardless of sunlight conditions and weather patterns. Observations of the earth’s surface and sea surface conditions are carried out by receiving and analyzing waves sent from the GPS positioning satellite and reflected off the earth’s surface. WNISAT-1 is compact satellite orbiting earth for geomagnetic storm detection as sensory infrastructure for service menu that supports flight operations in the North Pole where geomagnetic activity is concentrated. Originally, WNISAT-1 was a compact satellite designed and built by Weathernews to monitor and predict ice conditions in the Arctic Sea. However, its main camera and internal bus failed shortly after achieving a stable orbit. Rather than write off this satellite as a loss, Weathernews asked, what can we do with this satellite? Even with its camera offline, WNISAT-1 was capable of monitoring changes in the Earth’s magnetosphere. When the sun flares, it blasts Earth with a cloud of solar plasma that can violently disrupt the magnetic field around the planet, and interfere with the proper functioning of electronic equipment, particularly that used for communications aboard aircraft. These disruptions in the Earth’s magnetosphere are particularly intense at high latitudes like the North Pole, and thus pose a significant safety risk. 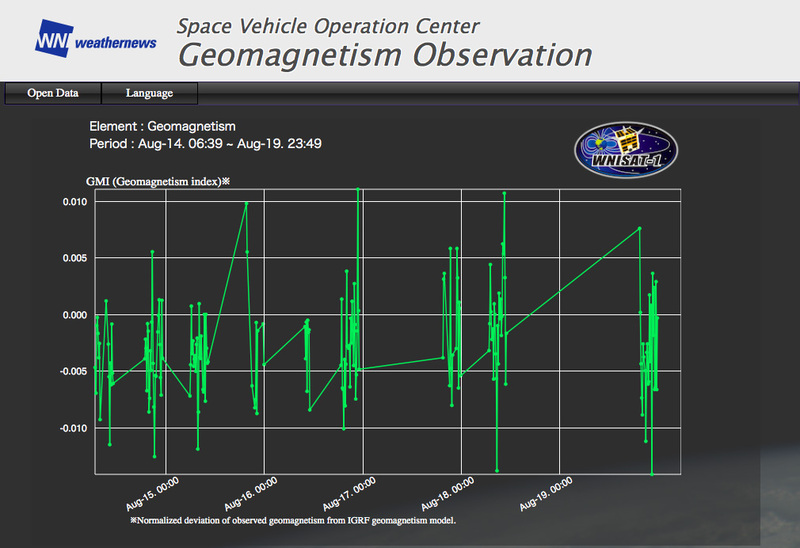 The geomagnetic data from WNISAT-1 is transmitted to Earth, and analyzed by the Space Vehicle Operation Center (SVOC) at Weathernews Global Center. This data available for anyone to view on the SVOC website, and also an forecast element of innovative value-creating Weathernews risk communication services that verify solar flares to support aircraft and ships operating in the North Pole.